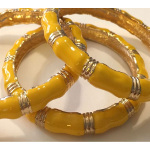 All items available through Wholesalejewelryzone are readily stocked in our warehouse facility. These in-stock items will be shipped within 2-3 business days of your order. 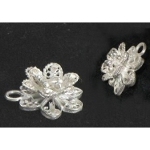 Wholesalejewelryzone uses USPS as its carrier. On occasion, we may use FedEx for large orders. Shipping costs for refused packages will not be reimbursed. In addition, these returns will be subject to our re-stocking fee. Our $5.95 shipping does not include insurance or tracking. It is available as the cheapest means of transporting your order. If you are not comfortable taking that risk, please select Shipping with Delivery Confirmation which will ensure that the postal carrier will not leave your package unattended. We are not responsible for packages that are stolen/lost. 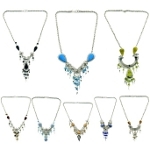 1) Email Wholesalejewelryzone (sales@wholesalejewelryzone.com) with: your order number, the name of the item, date purchased, and your name, address and phone number. Please indicate preference for an exchange or refund. 2) A customer service representative will respond to your email within 48-72 hours (usually much sooner) and issue a return merchandise authorization (RMA) number. Please write the RMA number on the packing slip inside your package and on the outside of your package. Please note that we cannot process returns without an RMA number. · Once your authorized return is received it will be reviewed by our Quality Assurance Department. Your purchase will be refunded back to your credit card or an exchange will be shipped.